If true I'm all over this. Shooting ISO 51200 with reasonable images would be great for dark clubs. Video is a bonus. Would love it to be stabilized but I doubt it. I was still shooting the a pair of the original 5D's until 1.3 years ago for pro wedding work, a friend still uses his 1D3 at 10.1 megapixels. Last edited by hot; 6th April 2014 at 14:06. Q: Is it cheaper to make a 12Mpixel FF sensor? Is it likely the A7s will be cheaper than the A7 or more? On the Sony graphics it showed up at the top, followed by the A7R and then the A7. So I am guessing it will be more expensive. I was disappointed that you need the external recorder to be able to record 4k. via HDMI to an external recorder. Unfortunately it does NOT have an internal 4K recording codec like the Panasonic GH4. Depending on the price I'm replacing my A7 with this camera for sure. Amazing bit rate, a lot of professional movie options, promising dynamic and iso performance, AF that should be at least as good as the A7/ 7R. It claims to have low light AF to extremely low levels. If it actually has capability close to Nikon's low light cameras (D3S, D4, D4S) then this could be the camera I need to supplement the A7R. But of course that's a big if. It will cost us $1700. I'm probably going to get it. As you can see, there is very little in it - and 36Mp versus 16Mp or 12Mp. In fact the D700 is outclassed by the a7r in all respects, and the D4s is a little better in DR at intermediate ISO levels - that is it..I expect this a7s to be something very special regarding low light, something much better than the competition. I believe Sony can definitely match the high ISO noise performance of Nikon. What they haven't demonstrated yet is the ability to competently autofocus as well as Nikon in low light. The D700 should be outclassed. It's a 5 year old camera with an even older sensor. Still, the difference up to the D4s is almost as big. For video, the difference will be a lot bigger, since video can't be downsized to improve high ISO performance. same price as the a7 - $1700. I don't have a immediate need BUT if I decide to offer video than Wow this fits right in my system. Gotta love that and more important for the FE line it will certainly grow. Great product for Sony. Supreme sensitivity and an advanced new algorithm deliver ultra-high AF speed even in low-light conditions (as low as EV -4)"
The low end on A7R is EV0, so there could be something different here. It seems to me the A7s is aimed straight at the very many buyers of 5DII/5DIII from the semi-pro and professional worlds. There is no reason tis camera should me more expensive than its A7 siblings, and performance, if judged from the short YouTube movie from Sony fairly screams "images made with an expensive video setup". Sony makes a lot of sense with this video-cam, IMHO. It's an E mount so ALL lenses fit. I imagine video guys are as bad as us here in being lens enthusiasts. And now with huge DR, a very big deal in video from my reading (I am totally ignorant of vid but have a friend interested greatly). They sure play to their strengths these days after a shaky start just over five years back. Even the oddball stuff is interesting like those stick on cams to phones. They stopped trying to be a digital Minolta after the a900/a700. Some people are saying this is the camera the FE 24-70 was made for, interesting thought as it would be very good, I remember thinking how good the steady cam effect was in that lens back when the a7/a7r promos started 4-5 months ago. Great FL range too. Would still do good stills too, I guess. Small body might please video shooters as well as stills people? They might sell a few of these. This Sony makes sense to me. As most of my stills end up in the web (or brochure) these days and having shot many times for clients like John Deere with 12MP, this new A7s, with a broad range of video options, makes more sense for me than the other two. Let's see the reviews. What a fantastic camera - certainly not for me (don't shoot video, don't need better high ISO) but still a fantastic camera. video has no interest at all, but I could certainly use this for low-light situations inside Building, when being at Work, where bad light perhaps represent 40% of the situations. BUT, but, but then I might need both the 7 and the s, which indeed wasn't my wallet's intention at all (! )(Sony, why should this happen!) Another skizofreniac dilemma seems building up in the Horizon! Now when I go to bat caves I know JUST the camera to bring. Life is an infinite series of moments called..."now". My job is to capture them. I've always been interested in video, but haven't had the time to get involved with it. Interesting camera for sure. That could change. When I couldn't say. There is a power zoom full frame e-mount coming. I see it like this:24 x 8Mpix images a second at 409600 iso with probably 15 (or more ! )stops of DR ? I don´t care ! This will be body number 2 for my bag and the perfect companion for the A7R. and even better: as the A7s does not have the 4k video built in but in a separate device - I do not have to pay for it when I don´t want to use it. And WHEN I want to use it later, I just rent it or buy it when it is catching on. My oh my ! That is CLEVER ! because photography is more than technology - and " as we have done this all the time "
So, I've had a chance to think (a little bit) about this new camera. Some good points, adding EFCS and reinforced lens mount seem to indicate that Sony is aware of issues from A7R launch. Considering the short turn-around time it looks like they are improving their reaction time to feedback (congratulations to us for being such effective beta testers!). If the low light autofocus is actually capable (not state of the art, because this is CD only) and assuming that the high ISO noise is a further improvement over the A7R, then I think a lot of people will be interested in this camera for occasion/sports shooting (assuming the price isn't D4 range). Of course this is Sony so I'm going to take a wait and see approach (especially since the A9 is supposed to be announced later in the year). But I do think it's exciting to see so much energy being expended by Sony on FF cameras. IBIS would have made its contender for real low-light candid work with the FE primes where DR and ISO performance become somewhat more important than resolution. I'd hate to always be wasting the higher ISO on getting the shutter speed up for hand held work. I'll wait until reports of the AF performance come rolling in. Kit, I will be looking forward to your front page article! I see this camera as having considerable potential for still shooters IF the low light and dynamic range performance turns out to be as good as we are currently being lead to believe. The low megapixel count will be suitable for a lot of still photography needs. I have a 30" x 40" print hanging on my wall that was made from a 10 mp Leica M8 APS-C sensor that looks great so 12 mp (really good mp) on full frame should be adequate for decent sized prints if processed carefully. I have the A7R but will be eager to read reviews of the A7S to see if it has a place in my kit. I heard 1700.00 if that's the case I may just switch out my A7 for it. I'm actually shooting some video this week for a client. This may just be a smart business decision for me. cant waitto see what the a99 replacement will bring. I can't work out from the specification whether this new beast does or does not have an OLP. Any ideas? Unlike most here I came from video and then moved to photography...and now I´m beginning to do both. 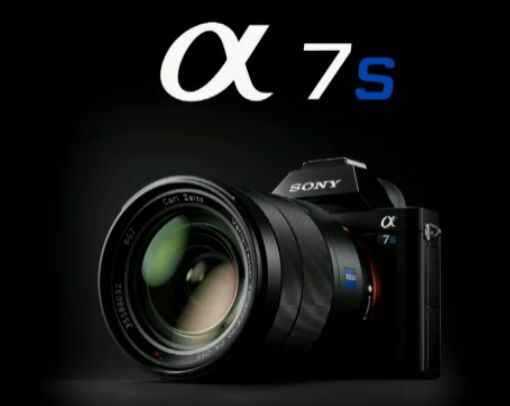 I´m in many video forums and people are VERY VERY excited about the A7S. Regarding video it would have been a smart move from Sony to have chosen a touch screen LCD that allowed you to choose focus by tapping...if not, at least it they should have come up with an awesome continuous AF on video mode. Like to hear about what accessories to buy to go video. Fluid heads, drives , microphones, rigs and such. Especially with this body as i am starting to consider it more . I have the real workhorse with the A7r but having all this glass it might be a great choice for me as a video machine and backup unit. Plus I have some gigs for low mpx count cams as well. besides all that just think of what we could do with the extreme high ISO stuff. I got some ideas on that one for a project or two. Guy: You might look at Kirk Tuck's blog - The Visual Science Lab. - he is a stills photographer who has moved into doing video as well over the last couple of years. Thanks I am going over there now. Guy, it kind of depends on the type of video work you plan to do. I have a Rode videomic pro for run & gun, a 5 inch Sony external LCD, a beachteck with phantom power, 3 lav mics. a multi-bracket cage to mount the camera with different accessories and I´m starting to look into a stabilizer (there are all kinds ranging from us$50 up to tens of thousands of dollars). By choice I don't want 24mpx, so this is suddenly a better A7 than the A7, if that makes sense. I'm hoping the extra half a year of development might have also improved some other issues, at the very least it is a nice alternative. I´ve read an article the other day about 4K opening the doors for a new kind of workflow where people would be able to extract stills from an indivisual frame, which would mean hiring a video guy only for everything. I see it as very tedious work to select 200 stills from wedding footage for instance. It´s also just weird having a model in front of you and just hit record while she poses (when you´re not changing lenses or battery). Many thanks, Guy. The standard workflow is to have a master track and then play it as the musician plays it in playback. This way you can easily sync it in post. But in this particular case the guy called me for a photo shoot and I ended up making him a music video with LIVE sound...which was kind of hell, as each time I shot a different angle the music had a different duration (from 3 to 5 minutes). Editing was much harder then with the artist playing with a master track playing in the background. But this clip goes to show you how good the Rode Videomic Pro is (it´s also not expensive). I guess from reading Kirks article you need a video recorder to do 4k but let me ask a really dumb question. If you just shot this thing standard without 4k than I guess you still get the high ISO advantage and such. I will apologize right now for my lack of video understanding. I real never followed it and ignored it forever as I am a still guy but and the big BUT times are changing and either I get on board some or I maybe in a world of hurt. Guy, ask away. I love helping out. If you have any particular or more complex doubt and you want to drop me a PM feel free to do that too. High iso and dynamic range on video are still good but it´s like shooting JPEG on a lower quality. You won´t get as clean a video using iso 6400 as you would shooting stills with full quality JPEG (let alone raw). The way the sensor is read on the A7S, the better codec and the bump in compression (almost double the A7/A7R´s) should play a big part in getting even better results with high iso and dynamic range (on both accounts the A7 is no slouch).